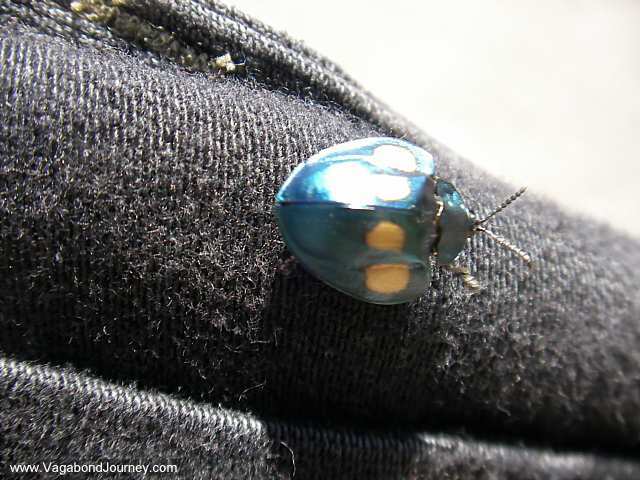 Beetle in Costa Rica. This is a good country for entomology. 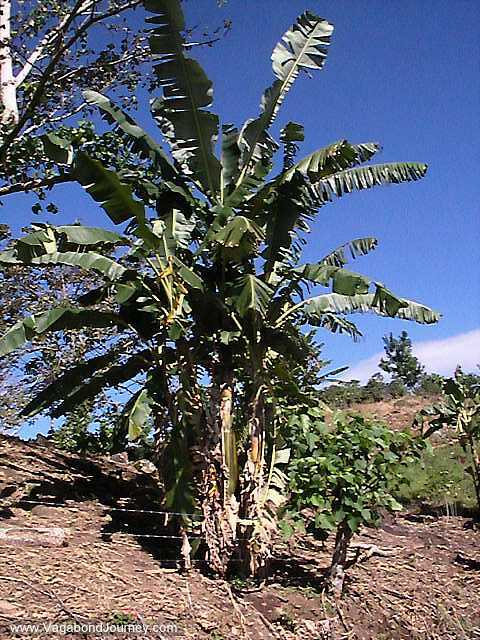 Banana plants in Central America. 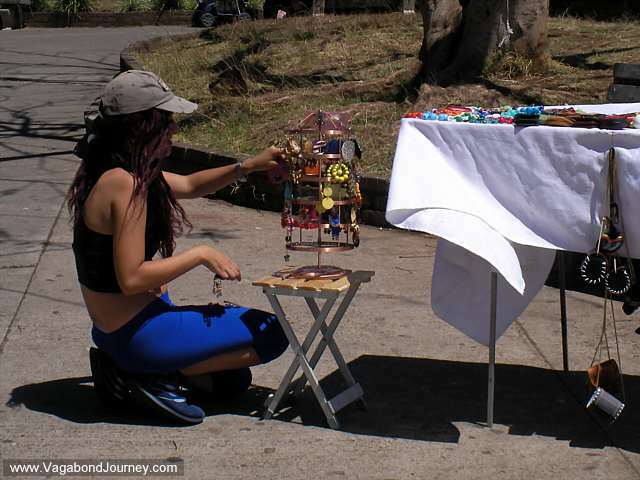 Tica woman in a sports bra selling jewelry in the streets of Barva. 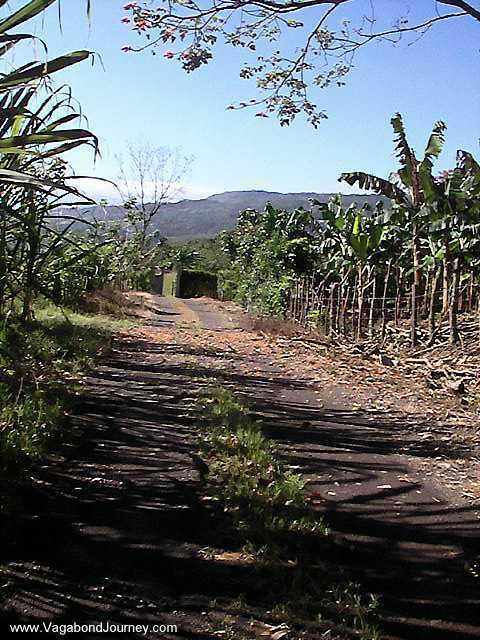 The paths through the countryside of Costa Rica. There is some good walking and hiking in this country. These photos are from my second trip to Costa Rica in January and February of 2008. 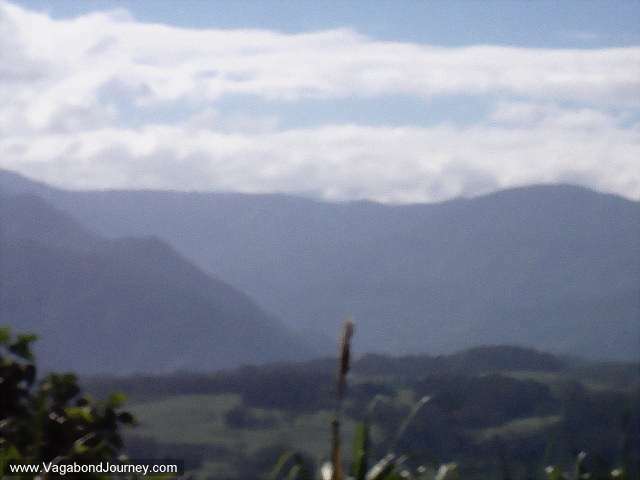 They are of an impressive dreadlock, mountains, a beetle, Central American bananas, hiking trails, and my Kelty backpack. 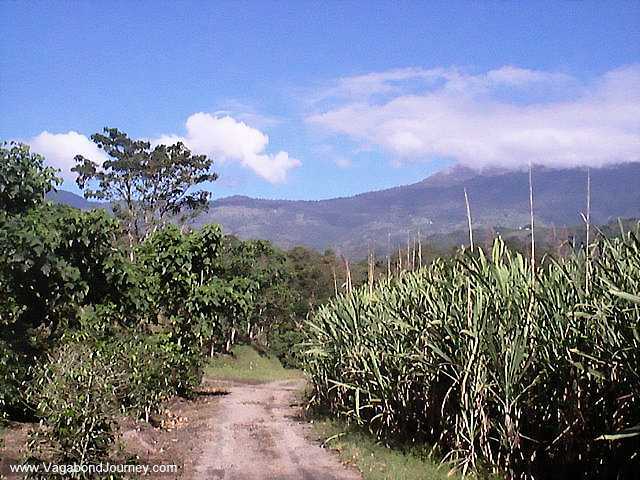 Another hiking trail in Costa Rica. 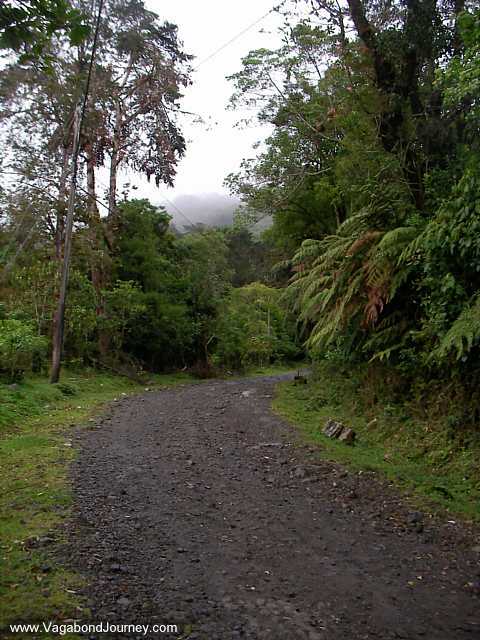 Road through the mountains around Heredia. 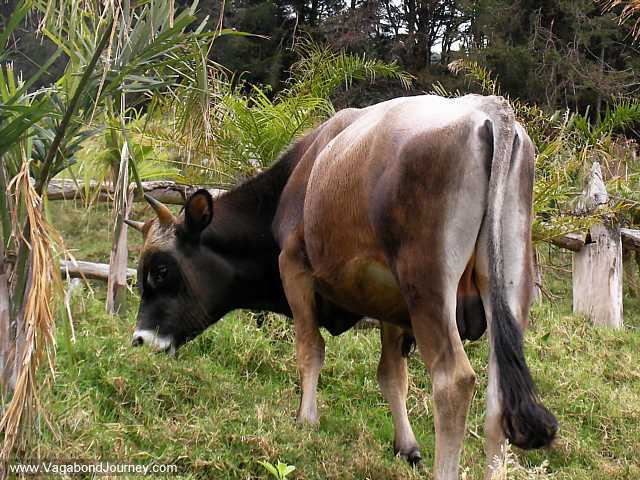 Bull in Costa Rica. The livestock here seems incredibly healthy and well cared for. 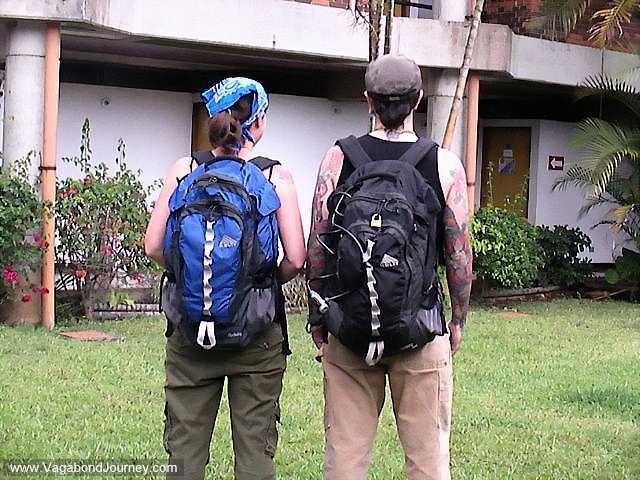 The Kelty Redwing backpacks that Lady the Tramp and I travel with. 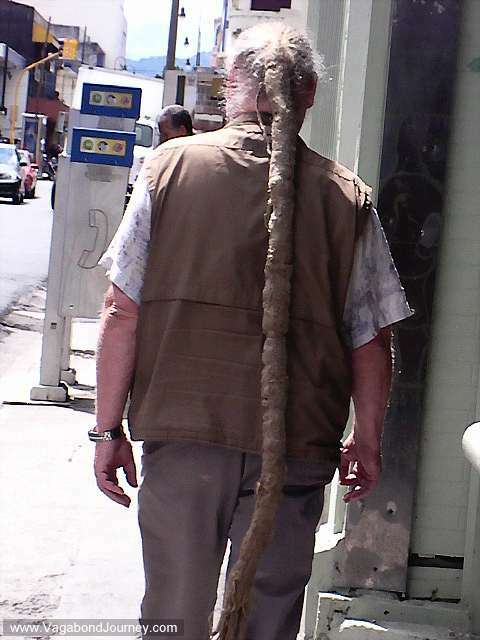 A very long dreadlock in San Jose, Costa Rica. I nearly got hit by a car while photographing this impressive dreadlock.